Gone are the days of giving out traditional keys to hotel guests! Technology is always moving forward full-speed ahead, and today's options are much more secure, convenient, and, quite frankly, nicer to look at! Our Hotel Key Cards modernize hotel rooms and facilities, elevating them to the current industry standard. They're quickly and easily encoded on site at the front desk, which makes them much safer than traditional keys, which could fall into the wrong hands. They allow guests to gain access to their rooms and/or specific areas of the hotel—pool, gym, office center, and more, eliminating the need to keep track of other keys. Best of all, our custom printed hotel key cards are very affordable! Better yet, you may be able to get them for free. Local businesses will often cover the cost of your hotel key cards for the privilege of advertising on them. Read all about this under our next section, "Co-Branded Cards". Our hotel key cards can be printed in one to four color process. The minimum order is 500, which is equal to 1 box. In stock, generic plastic hotel key cards can usually be shipped out the same day or the next day. 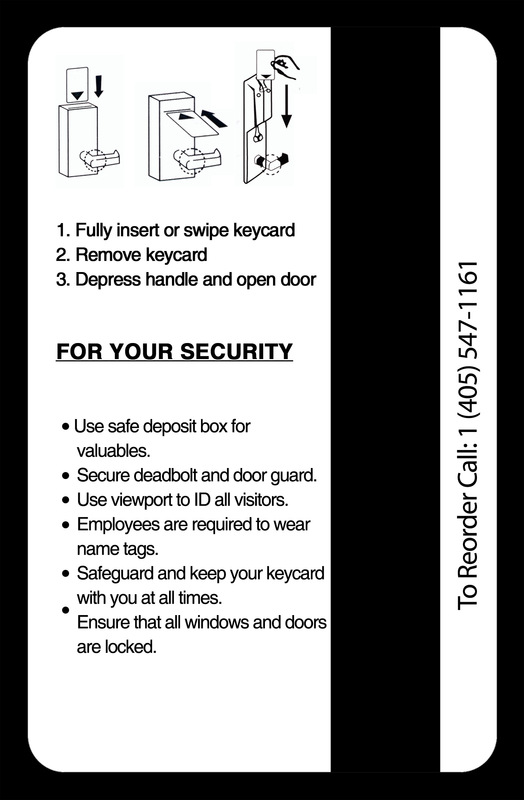 To ensure accuracy, printed keys cards must be proofed and approved prior to being printed; proofing usually takes 1-2 days. Once written proof approval is received, production time is roughly 3-5 business days on quantities under 5,000. On quantities of 5,000 custom printed plastic cards or more, the production time is 20-25 business days from proof approval to ship date, and we do ask customers to assume plus or minus 10% on their final quantity. Please do not hesitate to contact us at any time for any reason at info@cardjett.com. Need to know which cards work best for you? Give us a call at 888.209.7008.